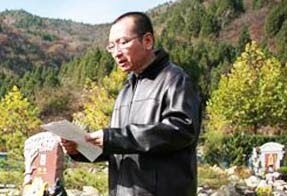 The Nobel Peace Prize 2010 was awarded to Liu Xiaobo (LEE-o SHAo-boh) , the first Chinese citizen to win the prize ( 刘晓波 , born December 28, 1955 ) for his long and non-violent struggle for fundamental human rights in China . 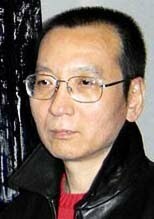 Liu Xiaobo is a Beijing writer and former literature professor. He was given an 11-year prison sentence on subversion charges on Dec. 25, 2009, after urging Chinese leaders to embrace democratic reforms. He has appealed his conviction to the Beijing Supreme People's Court. Mr. Liu's sentence, judged by many analysts to be unusually harsh, has drawn criticism from human rights groups, Western governments and writers worldwide. Most regard the chances that it will be overturned or softened as slim. Mr. Liu was seized by security officials in December 2008 as he and other intellectuals prepared to issue Charter 08, a lengthy manifesto that called on China's Communist Party to uphold individual rights and relinquish its monopoly on power. Modeled on Charter 77, the manifesto drafted by Czechoslovakian rights advocates three decades earlier, Charter 08 eventually garnered some 10,000 signatures before government censors pulled it from the Internet. After being held more than a year in secret detention and later in jail, Mr. Liu was found guilty by a Beijing court of "inciting subversion of state power." Mr. Liu previously spent 21 months in detention for taking part in the 1989 pro-democracy protests at Tiananmen Square. And in 1996, after demanding clemency for those still imprisoned for their roles in the demonstrations, he was sent to a labour camp for three years. 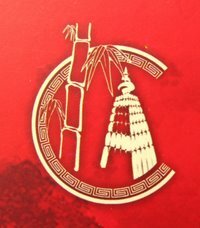 In addition to helping create Charter 08, Mr. Liu's subversion charges were based on six articles he wrote that were published on the Internet outside of China. PS : Charter 08 is a manifesto initially signed by over 350 Chinese intellectuals and human rights activists to promote political reform and democratization in the People's Republic of China. It was published on 10 December 2008, the 60th anniversary of the Universal Declaration of Human Rights, adopting name and style from the anti-Soviet Charter 77 issued by dissidents in Czechoslovakia.